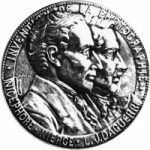 When the Daguerreotype was announced on 19 August 1839 at the Académie des Sciences, the Heliography process was also described by Arago. 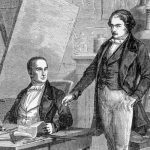 The way in which he presented Niépce’s method was done in terms so negative that nobody accorded any importance to asphalt-based heliography. Everybody was infatuated with the daguerreotype, a technique that made the portrait available to everyone. Nevertheless, although the daguerreotype was universally praised, it was reproached for being a technique that produced a single image. Certain people tried to transform the daguerreotype into an engraved plate that could be used for making printed reproductions of the image. A number of techniques were developed, but they were never applied on any extensive scale since they were very complicated and unreliable. 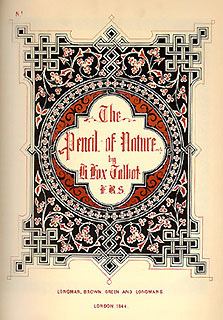 When the daguerreotype was replaced by Talbot’s calotype, it was believed that this technique could easily be used to illustrate books. The images were obtained on paper and by simply making copies from the negative by contact printing. There was no need for intermediate optical procedures. The method used by Talbot and by Blanquart-Evrard consisted of hand gluing the photographs into the books. It was slow work and what is worse, the photographs aged badly and slowly deteriorated. It became clear that a way to print photographs permanently had to be found. It was at that point that Nicéphore Niépce’s technique for obtaining engraved plates was resuscitated. There was an attempt to use it to reproduce not only drawings but photographs on translucent paper or on glass. Meanwhile, the glass negative replaced the paper negative, thanks to Niepce de Saint-Victor’s invention. .
Until then shading on photoengraved images was exclusively done by more or less tight crosshatching. It is well known that when continuous shading is engraved, the metal must be grained to hold the ink, or else it will be lost when the plate is pressed. The various techniques developed after Nicéphore Niépce’s death resolved the problem in one fashion or another. In what follows, we will limit ourselves to citing only the principal photomechanical methods developed after his death that used asphalt as photosensitive product. We will intentionally not touch upon those procedures that use the same principle as Niépce’s but depend on the use of bichromate colloids (albumin, gelatine gum)..
After Nicéphore Niépce, the second application using asphalt for making photogravures dates from 3 July 1852 when Barreswill, Davanne, Lemercier and Lerebours obtained a patent for “an application of photography to lithography and, by extension, to zincography and even to engraving”. This technique is rather similar to Niépee’s early work in 1824. However, the powdered asphalt is dissolved in an ether solution that was much more diluted than Niépce’s. The layer that was spread on the stone was very thin and because of the granularity of the stone does not form “a glaze, but what engravers call a grain. When one looks at the stone through a magnifying glass, one sees that the whole surface of the layer of varnish has regular cracks and furrows at the points where the stone was laid bar”‘. When exposing a negative, the more transparent it is the more light the asphalt layer will receive and consequently will harden more deeply. Around each grain the thickness of the insoluble part of the asphalt layer is a function of the amount of light received. During revealing, the area of asphalt that will be dissolved in the hollow spaces between the grains decreases as a function of the light received. When there is a great deal of light the asphalt points are larger than in areas where there was less light. When the stone is engraved with acid around these points, consequently cleaned of their asphalt, one obtains large points where the negative received a great deal of light (the black parts in the original). The surface of these points will receive the printer’s ink transferred from the press to paper with a darker hue than for those zones where the points were small. In 1947, L. P. Clerc stated that this technique “was used until only recently in various colour lithography plants”. What is unusual about this technique is that it works with a dull discontinuous layer of very tightly packed granules rather than with a varnish. This method facilitates the reproduction of continuous shading which correctly apportions the spread of ink as a result of the fineness of the granulation. Claude Félix Abel Niépce de Saint-Victor was the son of the first cousin of Nicéphore Niépce. He became famous in photography for having developed the first photographic technique on glass, where all previous techniques on paper, the calotype for example, produced an intermediate negative. He did all kinds of research, on producing colour photographs, on reproducing engravings and drawings via iodine vapours, and on heliographic engravings based on Bitumen of Judea. Niépce de Saint-Victor was only interested in making images engraved on metal and did not work with Nicéphore’s iodine inversion technique. The changes he introduced to heliography had to do with the composition of the varnish, the solvent used to make the image appear, the technique used to spread the solvent and the techniques used to engrave. The varnish that he used was composed of 90 parts of benzene, 10 parts of essential oil of lemon and two parts of asphalt. The solvent he used was composed of five parts of oil of naphtha to one part benzene. The varnish was very diluted in a very volatile solvent. The layer of asphalt obtained was consequently so thin that it displayed iridescence like a film of oil on the surface of water. As a result exposure time was decreased because the thickness of the asphalt that was to become insoluble was slight. Another consequence was the capacity of the acid to etch the metal across the layer of asphalt, which had increased compactness the more light it received. With such a fine layer of varnish, it becomes difficult to reproduce a large range of shades, contrary to the procedure that Nicéphore Niépce used. For the procedure we are describing here, this inability to reproduce shades through varying the thickness of the varnish was not considered a difficulty. This is due to the fact that, in photoengraving, gradation in shading is accomplished by varying the density of the grains, each of which can have the same thickness of varnish. The sensitivity of a varnish is a function of its thickness. The thinner it is the better. Using the varnish of Niépce de Saint-Victor, only 10 minutes of exposition of a glass plate to direct sunlight were needed to obtain a result, whereas 2 to 3 hours of exposure were necessary for an engraving made with translucent paper. Both these times were much lower than those for Nicéphore Niépce’s heliographs. Niépce de Saint-Victor also discovered how to presensitize asphalt. By exposing asphalt in powdered or dissolved form to sunlight and air for a few hours, he increased its sensitivity. In Nicéphore Niépce’s method, presensitizing was done when heat was applied to dry the varnish, a process that Niépce de Saint-Victor did not use. He seemed not to have observed the ageing of asphalt solutions in the absence of light, which, after a few days or even a few weeks, makes them more and more sensitive. We have a few printed documents that reproduce drawings or photographs made using the technique perfected by Niépce de Saint-Victor. I have been able to see several prints made with this process, made by Pauline Riffaut and finished by the engraver A. Riffaut. One is a portrait of the Empress Eugénie, one of Napoleon III, and one of Niépce de Saint-Victor himself. There are some zoological plates printed in 1853 in the book “Photographie Zoologique” by Rousseau and Devéria. Examination under a printer’s glass clearly shows that Niépce de Saint-Victor’s were unusable in the form they took after the action of the acid. 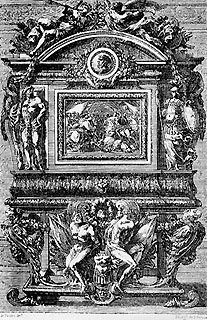 In fact, they served as a guideline for the engraver who, after the acid bite, executed the engraving by hand by following the forms and shadings that had been cut into the surface. Only the background of the image was not retouched. It was made of an aquatint grain either obtained through traditional nitric-acid engraving methods or by acid applied to a very thin layer of varnish that had been largely dissolved. Accounts at the time of Niépce de Saint-Victor confirm the fact that the images lacked halftone effects and it is worthy of mention that the images that were published were always retouched by an engraver. Niépce de Saint-Victor’s use of asphalt was special and unique in the history of photomechanical methods. What he did was to try to obtain a halftone engraving through asphalt varnish known for its exceptional impermeability to acids. We will see that, in the other techniques developed after Niépce de Saint-Victor, the varnish was always used either as a screen to the acids or as insulation against electroplate metal deposits. Niépce de Saint-Victor’s method did not last for very long, in particular because it always required the intervention of an engraver. Its merit was that it was a pioneering method and opened the way to newer methods. In his study of the heliographic techniques of C. Nègre, J. Borcoman writes: “The method used by Niépce de Saint-Victor was successful in reproducing line engravings, but when it is applied to images with grey shading the results are extremely rudimentary. All the shading prints as deep black independently of their diverse densities in the photograph. Since it is incapable of reproducing the subtle rage of halftones, it is this method that Nègre set himself to perfecting”. The techniques employed by Niépce and Niépce de Saint-Victor made a picture from a positive original (an image projected in a camera obscura, engraving on paper or positive photographic proof on glass). 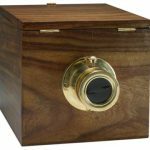 That used by Charles Nègre had the advantage of arriving at the same result but directly from a negative like those obtained from a camera obscura. There was no need to print a positive countertype. 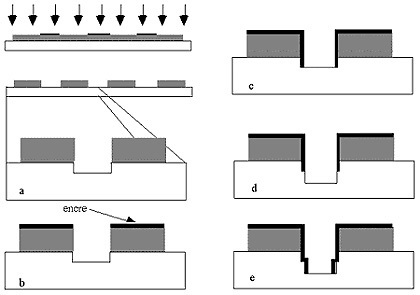 In Nègre’s method (Figure above), the first operations – preparation of the varnish, spreading it on the plate, contact exposure under the negative, developing with a solvent – are identical to those used by Niépce (a). The image produced by the asphalt on a metal base is positive. The areas where the metal is bare are those that are not to be engraved. This is where the originality of Nègre’s methods enters in. He used the insulating properties of asphalt varnish to cover the bare sections with a fine layer of a metal like gold, less oxidizable than the base often made of steel or zinc (b). The method used was electroplating. The metal plate holding the image produced by the asphalt acted as one of the electrodes of a battery and was plunged in a solution of metal salts that were to be deposited on it. When the gold deposit was made, the asphalt layer was eliminated (c). On the base, the areas that were not to be engraved became visible because of the layer of gold that protected them. When the plate was subsequently plunged in an acid, the gold was not affected but the unprotected areas were gradually engraved (d). Nègre thus obtained an engraving that could be used for printing. In addition, the gold salts gradually penetrated the varnish, which was prepared in the manner of Niépce de Saint-Victor. This resulted in the formation of a thin gold network that, after etching by acid, produced a grain on the surface of the image and facilitated the fixing of ink and provided excellent adhesion during printing. Cathédrale de Chartres, by Charles Nègre. Thanks to this method, Charles Nègre was able to produce some of the most beautiful heliographic engravings in the history of photomechanical techniques. For example, the view made in 1854 of the Cathedral of Chartres, Central Window of the Royal Portal. The dimensions of this plate are 725 by 480 mm. The extraordinary quality of this print makes us admire Nègre’s technique of uniformly spreading the asphalt on a plate of such dimensions and his mastery of revealing, of electroplating, of engraving and of printing. Nègre exhibited his “heliographic engravings” for the first time in public during the Universal Exposition of 1855. He received the first class medal with a diploma drawn by Ingres, whose student he was. Nègre then received a large number of orders for heliographic engravings, from the architect-inchief of the restoration of Chartres cathedral, from the painter Corot, from the prince Napoleon Joseph Bonaparte and from Nadar. Baldus used a classic technique, first making an asphalt image on copper from a positive proof that turned into a negative on the metal (a). L. Figuier tells us in 1869: “The picture is formed by a veil that is so thin and delicate that part of it would quickly disappear when the plate was immersed in liquid. To give it more suitable solidity and resistance, it was left for two days in diffused light.” Baldus then put the plate in an electrolytic bath and, depending on whether he connected the plate to the negative or to the positive pole, he obtained either a reproduction in copper-deposit relief (b) or an intaglio engraving on the parts of the plate that were attacked (c). In this manner, he could obtain either an engraving similar to an etching destined for copperplate printing or a copper plate engraving that could be included directly in the printing plates. A decisive step in photoengraving was the use of halftone screens that broke up continuous shading into networks of points. This led to stabilizing the ink so that it was consistently placed on the paper. As of 1853, the Englishman Talbot spoke of using “a crepe or black gauze veil” placed between the photosensitive plate and the image that was to be produced, which broke up the engraving into a multitude of tiny squares. In 1859, Berchtold exposed his negatives on a metal plate smeared with asphalt. He then exposed the plate a second time across a piece of glass on which he had traced a series of fine parallel lines, and a third time after having rotated the glass plate. After dissolving unexposed asphalt, he obtained an image composed of squares, lozenges, etc. In 1861, Baron von Egloffstein used Berchtold’s method in the heliographic institution he had set up in Philadelphia. He was, in particular, responsible for engraving federal government bank notes. 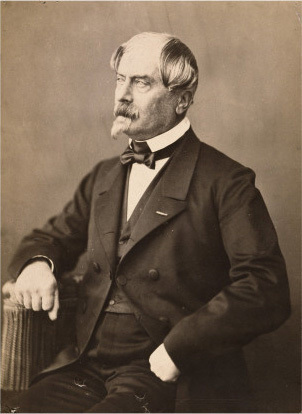 In 1867, Amand Durand presented to the Société Française de Photographie “various specimens of heliography on steel and copper for typography and copper-plate engraving”. This engraver who claims to use Nicéphore Niépce’s early method declares that he prefers “this technique to those based on using bichromate mixes, because the proofs obtained with them, unlike those obtained by using bitumen of Judea, are unable to resist deep acid etching”. Amand Durand’s proofs are nevertheless retouched using ordinary engraving techniques. In 1883, A. Poitevin quoted the brochure Essai sur les Gravures Chimiques en Relief written by M. Motteroz. From it, he took a passage that describes a technique used by a Mr. Dulos, worthy of being mentioned as an example of the complex handling that images produced by asphalt could entail. These images were obtained on a copper plate, as is the case for all asphalt-produced images (a). Then, using a battery, Dulos had iron electrochemically deposited on it. The iron deposited only where there was naked copper. It did not deposit on the asphalt (b). He then took off the asphalt by dissolving it with benzene (c). Afterwards, he provoked an electrochernical deposit of silver. The silver fixed on the copper and not on the iron (d). In fact the silver replaced the asphalt. Dulos then eliminated the iron by using an acid (e) and then poured mercury on the plate. The mercury formed an amalgam with the silver. This amalgam formed a relief (g) and, depending on whether he intended to reproduce a positive or a negative, Dulos obtained either an intaglio engraving or a typographic plate. In 1850, Firmin Gillot (1820-1872), a French lithographer, created panicography, a process for obtaining a matrix for doing typography from line drawings made on lithographic stone. In 1872, his son adapted the process to the handling of photographic images (a), produced either by using asphalt or by use of bichromate gelatine on a zinc reserve base. The technique of acid engraving to which he gave the name of gillotage was very refined and called for a succession of acid and ink applications. Its purpose was to cover the edges of each engraved line with ink so as to protect them from being broadened by further acid bites (b, c, d, and e). The technique could only be used to reproduce drawings or line engravings. To use the technique for other types of illustration, Charles Cillot developed several methods for obtaining a photographic image with a grid or grainy effect that was applied and then reproduced on an asphalt varnish. The technique of gillotage was later used to engrave metal. It was used to make photographic prints, was very successful and was sometimes called direct photoengraving. 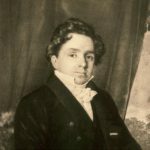 Charles-Guillaume Petit is the inventor of one of the most important printing techniques: that of transforming the halftones of a photograph into a system of regularly spaced points or cross-hatching that produce printed surfaces of varying dimensions. 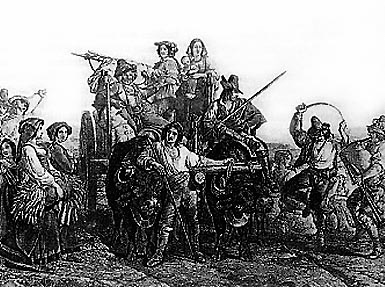 Petit called the system ‘halftone, engraving’ (similigravure). It is one of the first techniques to produce halftone shading without departing from traditional printing methods. The set of points, or screen, was made from an asphalt produced image (Figure above). Petit explains: “Using a knob mounted on my engraving machine, I incised zigzag lines of alternating points into a copper plate and I pulled an engraved print from this master plate. The points were black on a white paper background. I photographed it reducing it about a third. With the negative I made a positive image using asphalt on copper plates later to be engraved (a and b). The plates bore a matrix of evenly spaced points (b) and could serve many purposes. All that needed to be done when an order came was to cover them with bichromate gelatine, to make a negative of a given subject (c) and to engrave using iron perchloride which filtered through the gelatine layer as is done in helioengraving (e). The larger white areas were bitten into first, thinning the specks of asphalt into pinpoints. The pale halftones were done next and so on up to the darker halftones”. For these last halftones, stopping the action of the chemical in time left the size of each point unchanged. As chemical action was prolonged, the circumference of each point was decreased to a pinpoint when the halftones were pale. As for white, the points disappear. The process took about three hours. The photochronographs of Jules Marey, a precursor of cinema, are one of the first examples of images produced by Charles G. Petit’s process. 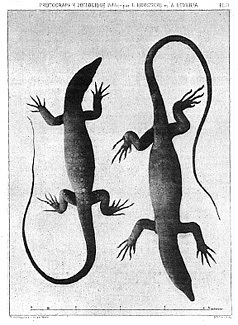 These were published in the Comptes-Rendus de I’Académie des Sciences on 3 November 1890. After having exhibited his photographs, Marey declared: “What remains to be done is for people to make faithful reproductions of them and to print a number of copies. The consistent progress made by photoprinting leads us to hope that its use will enable physiologists to show the phases of movement with complete fidelity. The figure opposite, made by Mr. Charles G. Petit from a photochronographic view is an example of what can be obtained using his method”. Petit’s halftone print reproduction of Nicéphore Niépce’s La Table Servie is another example. This appears in the text of the symposium during which A. Davanne unveiled the existence of this picture. If one wished to make an exhaustive list of all the major techniques that involve asphalt, the list would be a long one. Nevertheless, to conclude, let me mention zincography, which is extensively developed in graphic printing. As a basis, we will be using the very complete description done by H. Calmels in 1907. Zincography is a ‘planographie’ method, that is, the image on the metal is neither hollowed out nor in relief. Rather like lithography, there are areas that attract or repel water and repel or retain ink. The perfectly cleaned zinc plate was at first prepared using a solution of gallic and phosphoric acid in order to create hygroscopic salts on its surface (Figure above). This helped retain water and repel printers ink. Preparing the surface of the metal in this way gave it the same properties as lithographic stone. The surface was covered with an asphalt varnish, exposed under a drawing (a) and then developed, as was done using Niépce’s technique (b). Once exposed, the metal under the lines of the drawing was covered with hygroscopic salts. The plate was then bathed in acetic acid that dissolved the hygroscopic salts that had not been protected by the varnish (c). The plate was then covered with a coloured gum-lacquer varnish called fuchsine (d). It was dried and dipped in benzene. The layer of asphalt disappeared and took with it any coloured varnish overlay (e). All that was left were the lines of the drawing that had been made by the fuchsine varnish. Everywhere else the metal was covered by a layer of hygroscopic salts. As in lithography, all that was necessary was to wet the plate, which absorbed water except where there was gum lacquer, and then to ink it. The ink was repelled by wet areas and only adhered where there was coloured varnish, namely, to the lines of the drawing. Paper was then pressed on to the inked plate. In 1925, L. R Clerc wrote: “the only technique used at the start of photoengraving, Syrian bitumen, called judean (asphalt), has gradually been abandoned in favour of bichromate albumin. This later technique obtains the same results but takes much less time”. Bitumen does not seem to have been used in photomechanical processes after 1930. The screening of printing plates engraved with photographs was one of the major advances to have been made among the various improvements to the asphalt technique invented by Niépce as applied to plate-making for printing. Thick varnish was no longer necessary to reproduce varying shades of darkness. Instead, the denseness of points did the work. This meant that the varnish could be very thin and consequently exposure time was reduced. By working on selecting different qualities of bitumen, on their purification, and on their enrichment with sulphur, their light sensitivity was considerably increased, resulting in the kind of rapid treatment needed for industrial production. This was not true of Niépce’s heliograph. All this research gave birth to photoengraving and Niépce is undoubtedly its inventor. Bitumen of Judea was used for many years and its principle is still employed today by microlithography in the manufacturing of electronic microcircuits (bitumen has been replaced by synthetic resins when X- or ultra-violet rays are involved).